Born in The Hague, Holland in 1935, Mary Pym studied at Winchester College of Art from 1954-58. Her first solo exhibition was in Southampton in 1965. She completed her four-year Post Graduate Experimental Painting Course at Southampton College of Art in 1978 and in 1985 Mary Pym became a part time art teacher. Mary paints in oils and her colourful, individual and easily recognisable style falls between the representative and the abstract. Her vibrant, yet subtle colours often arranged in geometric relationships with each other, create uncluttered landscape paintings, whose lonely beauty is skilfully depicted. Her abstract art paintings are much enjoyed and collected by her many admirers. 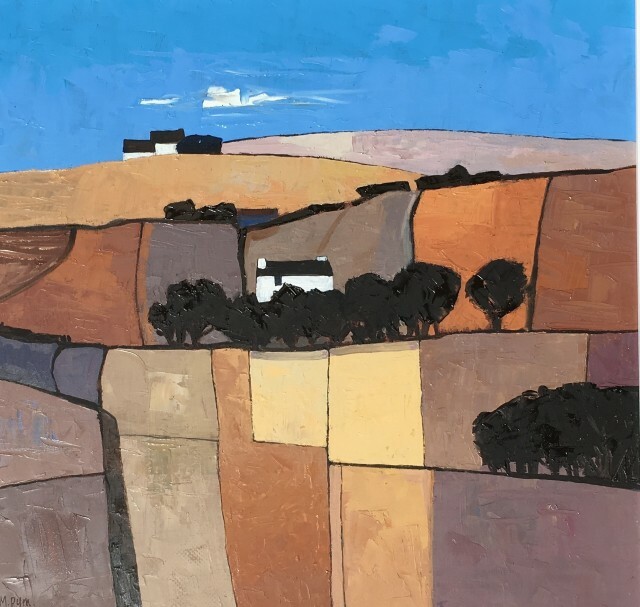 Mary has exhibited with her oil paintings at The Wykeham Gallery for many years, but she has also shown her work at the Royal Academy and the Mall Galleries in London, and extensively throughout the south of England.